Last week, East Boston activist Mary Ellen Welch passed away. Welch, whose work and legacy are preserved in the Northeastern University Library’s Archives and Special Collections, was a vibrant and prolific activist in East Boston. Her advocacy centered around civil rights, education, environmental issues, open space creation and preservation, social justice, and transportation issues. Welch’s work founded and affected many facets of East Boston’s neighborhood. 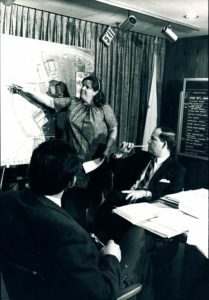 Since the 1960s, she advocated for East Boston residents on issues surrounding waterfront development, affordable housing, public schools, and the expansion of the Massachusetts Port Authority’s Logan International Airport. She was a former teacher at Hugh R. O’Donnell Elementary School in East Boston and served on the board of directors for Neighborhood of Affordable Housing (NOAH), an organization which supports East Boston residents and communities with affordable housing strategies, environmental justice, community planning, leadership development, and economic development opportunities. She is also former head of the Friends of the East Boston Greenway and founding member of the group’s predecessor the East Boston Greenway Council. In addition, Welch worked with Airport Impact Relief, the East Boston Neighborhood Council, and the East Boston Area Planning Action Council. In 2000, Welch was awarded the United States Environmental Protection Agency’s Environmental Merit Award. You can find further records of Welch’s determined activism in the East Boston Community News, held at Northeastern’s Archives and digitized and available in Northeastern’s Digital Repository Service. The name “Mary Ellen Welch” shows up in nearly every issue, evidencing her wide array of organizing for social justice and her vital role in East Boston. 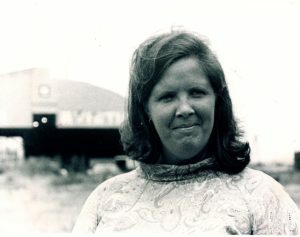 Mary Ellen Welch’s papers are housed in the Northeastern University Library’s Archives and Special Collections. You can view the finding aid here. Come visit her collection to continue to activate the gift of her records for future generations. This weekend, July 21 and 22, Inquilinos Boricuas en Acción (IBA, the Puerto Rican Tenants Association), whose papers reside in Northeastern’s Archives and Special Collections, will host their annual Festival Betances. This festival was named for Puerto Rican patriot Ramón Emeterio Betances, who was both a leader in political and medical developments in Puerto Rico, and is considered one of the leaders of the Puerto Rican independence movement. The festival takes place in the Betances plaza which is also dedicated to him. The festival celebrates the great diversity Latino/a culture and includes events and activities such as a parade, a greased pole competition, traditional food, music and art. Girls performing a dance at the Festival Betances. Ceramic tile mural on the Plaza Betances.